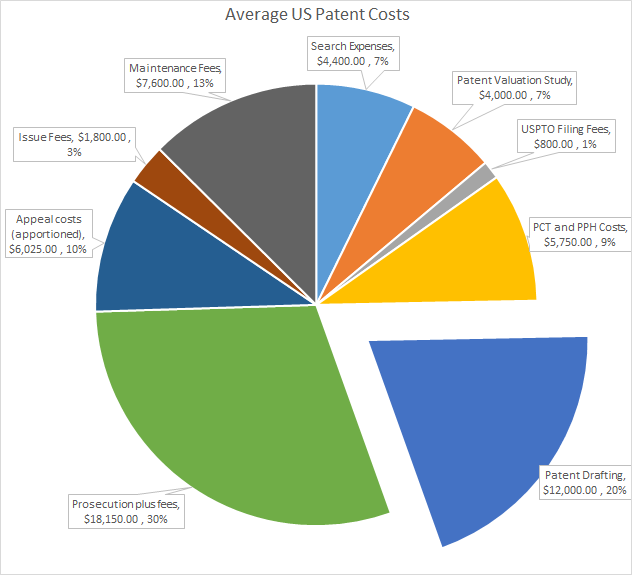 How much does it cost to obtain and use a U.S. patent? The depends who you ask. The price to obtain an invention right can range from $6,000 for a very basic one with few claims to $50,000 of more for a more complex application that requires significant back and forth with the Patent Office. Bunch O Balloons, a consumer product that can fill 100 water balloons in 60 seconds, has had to defend itself against TeleBrands Corp, which has repeatedly infringed it with different businesses over a period of years. Last week, Bunch of Balloons, originally a crowd-funded company, won a $24.5 million patent suit against TeleBrands Corp. $4.75 million was added for attorney’s fees. The patents at issue are U.S. Patent Nos. 9,242,749 and 9,315,282. At the heart of the problem is uncertainty about what can, in fact, be patented and licensed. Patents in new areas of invention or art can be overly ambitious. Some may be too broadly drawn and claim more than the invention covers in hopes of keeping others from doing something similar. In an over-reaction to that possibility lawmakers and courts have made it difficult to rely on many patents, despite the extensive examination process they go through. As a result, many issued patents are, in effect, still applications. There is little agreement on an acceptable level of uncertainty. If virtually any patent issued that is enforced can be routinely challenged, what is the point of issuing it in the first place? Critics say that an inventor should not be able to claim what can amount to an entire industry, as opposed being granted a patent on a specific invention. The patent office often does not realize it may be granting rights too broadly. 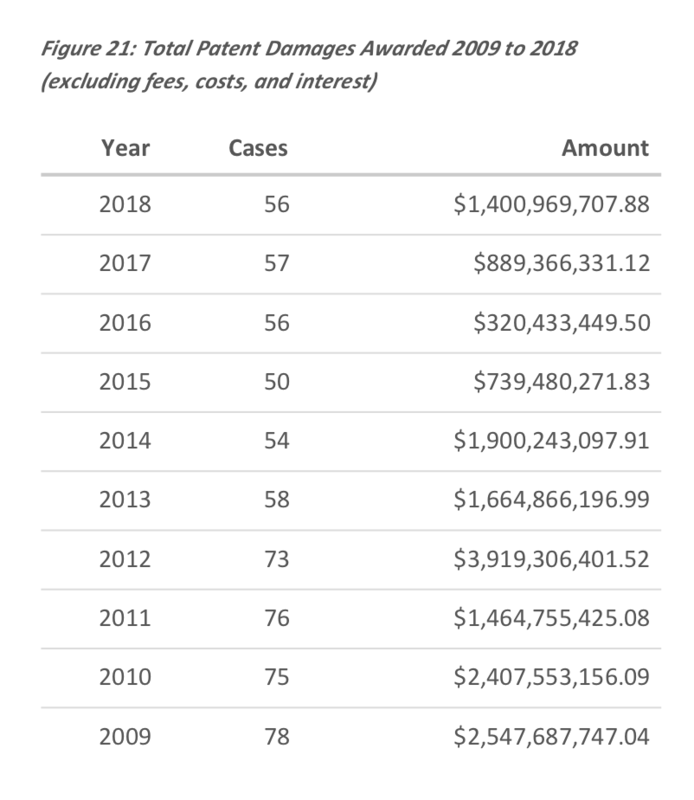 $1.4 billion dollars was awarded last year in patent damages, the most since 2014. Two cases were responsible for about two-thirds of that amount or $900 million, according the Lex Machina 2018 Litigation Report, leaving less than $500 million among 16 cases. 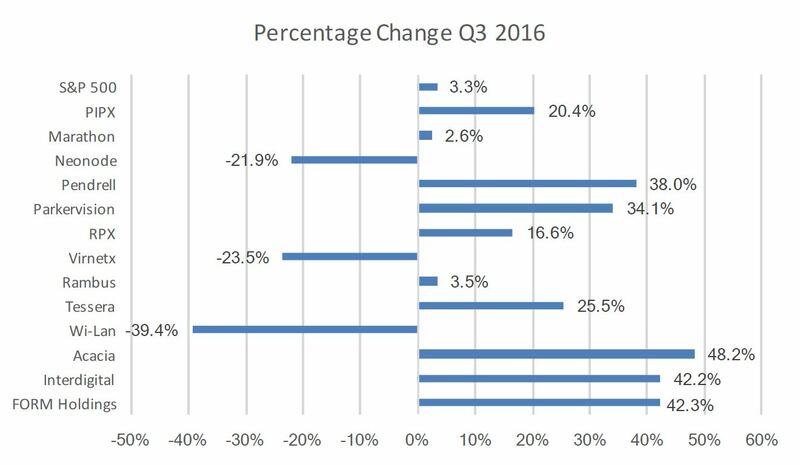 The biggest year for patent damages in the past decade was 2012, the heyday of patent value, which saw just under $4 billion awarded. Sources told IP CloseUp the top 20 awards typically represent only a fraction of the actual infringed value of patents in a given year, and it is not clear how much of which of the awards have been paid. Even though 2018 saw around the same quantity of cases awarding damages as in the previous five years, there was a greater total amount of damages awarded. The large increase in damages from the previous years is attributable to large jury awards of reasonable royalty damages. Particularly, in Virtnex Inc. v. Apple the jury awarded plaintiff over $500 million in damages and in Kaist IP v. Samsung the jury awarded $400 million in damages. Excluding these two cases, the total amount of damages awarded in 2018 was approximately $498 million. Looking at jury awards, Samsung was involved in three significant jury cases that awarded damages in 2018. While ANDA cases did not yield jury awards in 2018, several healthcare/pharma/life sciences research companies were involved in significant jury trials, including Boston Scientific and Ariosa Diagnostics, as well as medical device producers such as Hologic and Minerva Surgical. 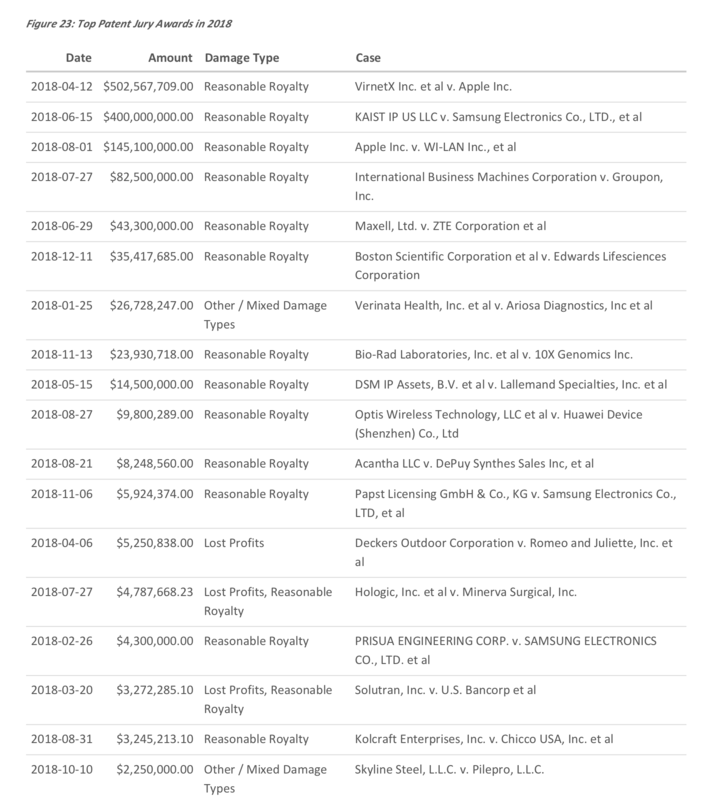 Among the top patent awards under $100 million, six were over $10M and nine or 50% of those reported were under. No data was provided on the number or amount of settlements or the cost to obtain them. For the full report, go here. Early indications are that U.S. patent litigation for 2018 is on track to be among the lowest in since 2005. So far in 2018, approximately 555 patent infringement suits have been filed (3,330 on an annualized basis). This is off from a peak of 5,874 in 2015, or an average of 979 every two months. In 2005, the lowest litigation filing year in recent memory, there were just 2,582 suits. In 2017, there were 4,072. January and February are early indications, and there is time for the rate to increase. According to statistics provided by intellectual property research firm Patexia, January 2018 patent applications came in at 27,720, just 631 higher than 2017, 27,089, which was the lowest year for that month since 2012. February applications are running behind last year, which came in at 28,329 for the same month. Final figures are not yet in. 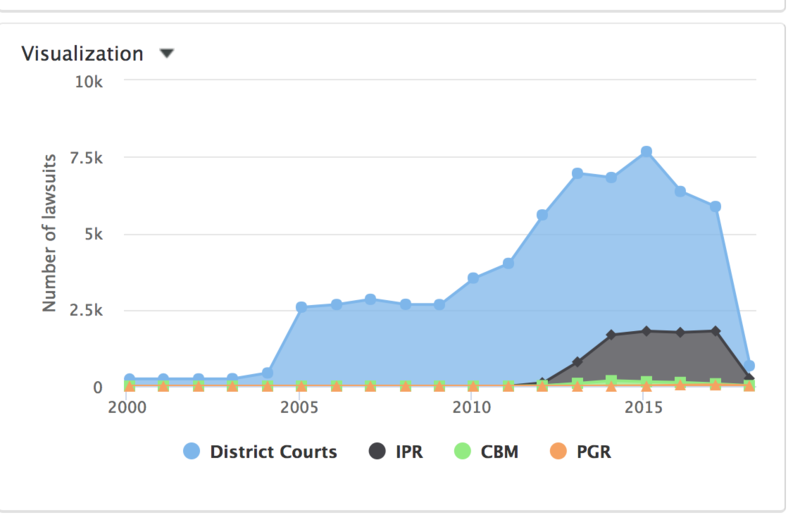 This trend in patent applications and litigation has been accompanied by a flattening of Inter Partes Review (IPR) petitions filed. IPRs have been fairly level for the past three years, peaking in 2017 at 1,725. So far this year (through February) there have been approximately 250 IPRs filed, putting 2018 on track for about 1,500, slightly below the last two years on an annualized basis. No information on the number or percentage of instituted petitions was provided. Difficulty obtaining software and business methods patents are a likely reason for the drop in U.S. patent applications, as well as the increased difficulty defending patents. Patent uncertainty and decreased need for defendants to take a license or engage in licensing discussions, as well as the high cost of litigation, are possible reasons for an increase in IPRs. For Patexia live litigation statistics, go here. An increasing number of experts say the U.S. has lost its edge in the battle to secure and defend meaningful patents that stimulate competition. 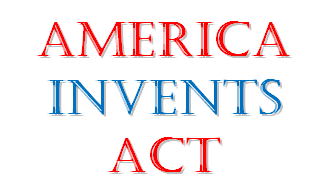 It is with making U.S. patents important again that “Promoting Innovation, Investment and Job Growth by Fixing America’s Patent System” is being held on Monday May 8 at the United States Capitol Building, Washington, D.C. 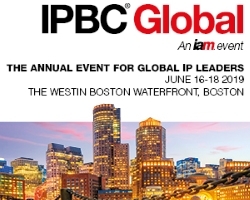 The invitation-only event hosted by the U.S. Chapter of the International IP Commercialization Counsel (IIPCC), will feature an all-star list of presenters from business, government and law. “Our patent system may no longer be providing the protection and incentives necessary to entice in vestors and entrepreneurs to assume the enormous risks that inhere in the creation of many new technologies and new companies,” said Rob Aronoff, IIPCC U.S. Chapter Chair. “In recent years patent reform initiative have resulted in significant unintended consequences, including a decline in the reliability of patents is contributing to a waning of entrepreneurial energy and a decline in the risk tolerance of American investors and entrepreneurs. Conference sponsors include Houlihan Lokey, TechInsights, Qualcomm and Pluritas. Partners include IAM Magazine, the Licensing Executives Society, the Center for IP Understanding, USIJ Alliance for Startups & Inventors for Jobs and IP CloseUp. Those interested in attending can request and invitation, availability permitting, by emailing rob.aronoff@iipcc.org. One of America’s most successful and charitable patent licensing strategists passed away last week. Eugene M. Lang, describe as “an American folk hero” for his generous philanthropy, grew up on Manhattan’s East 83rd Street in a $12 per month railroad flat. 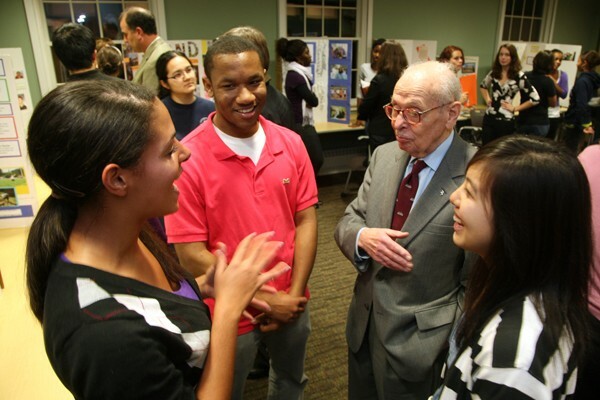 He went on to donate more than $150 million to charities and institutions during his lifetime for educational causes, including the I Have a Dream Foundation, which he established in 1981; the Eugene Lang College, part of the New School in Manhattan; the Eugene M. Lang Center for Entrepreneurship at Columbia University School of Business; and Swarthmore College, which he entered at 15 on a scholarship. Much of Lang’s fortune was derived from the Refac Technology Development Corporation, it was reported in his obituary, a public company he founded in 1952 that specialized in the licensing of patents and financing high-tech ventures. Some considered Refac International Ltd., known for suing thousands of big and small companies to protect its patents, the model on which other non-practicing entities (NPEs) were based. In 1990, the company was chastised by a federal appeals court in Washington after losing a major lawsuit it filed against 118 Southern California companies selling products with liquid crystal displays. In a letter to The Times [valuable for its historical and factual content], Mr. Lang called the article “grossly distorted” and pointed out that most of the clients represented in lawsuits had sought out Refac after offering licenses to the corporations for their inventions and being turned down. He illustrated his argument by citing the inventor of the laser who had tried to get industry to recognize his role and succeeded only after Refac won validation of his patents in the courts. “For Refac, the drama of litigation began in 1975 when Gordon Gould, after battling industry opposition since 1959, asked us to represent his claims as inventor of the laser,” wrote Lang. “Concluding that Mr. Gould’s claims had genuine merit, Refac, against all odds, accepted the challenge. It took until 1987 and some $4 million, but the courts finally validated every patent of Mr. Gould’s. Despite vituperative reactions from the laser industry – analogous to quotations cited in your article – claims that in 1975 might have been labeled ”all but worthless” now generate annual royalties in excess of $12 million. A self-made businessman who flew coach class and traveled on subways and buses, Lang is best remembered for his impulsive gesture in June 1981, when he was invited to deliver the commencement address to 61 sixth graders at Public School 121 on East 103rd Street in Spanish Harlem. He had attended P.S. 121 as a boy 50 years earlier. He made himself personally available to the students, counseling them when they faced obstacles such as teen pregnancy, addiction, and delinquency. He cheered them at their graduations and helped arrange for jobs. When a student was incarcerated at Sing Sing, he helped him pursue college course work from prison. In addition to his daughter, Jane Lang, a Washington lawyer and community activist, Lang is survived by two sons, David and the film and stage actor Stephen Lang (Avatar, Conan the Barbarian, Gettysburg); a sister, Barbara Lang; eight grandchildren; and eight great-grandchildren. In 1996, President Bill Clinton awarded Mr. Lang the Presidential Medal of Freedom. For more information about the Eugene M. Lang Foundation, go here. 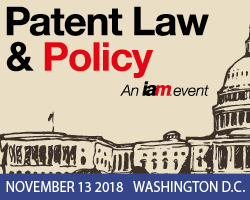 Not all patent owners agree the Patent Trial and Appeal Board (PTAB) is a fairer forum for vetting patent quality today. While some believe that the United States Patent and Trademark Office (USPTO) board is no longer the “death squad” that it was described as by the former Chief Judge of the Court of Appeals, most patents subject to multiple inter partes reviews are, with an uncanny frequency, either invalidated or severely weakened. Few, emerge as clear winners. The USPTO established the PTAB, an administrative law body, as part of the America Invents Act in 2012 to eliminate issued patents that should not have been granted because prior art way overlooked. IPRs are said to be a patent office “second look,” but while patent office re-examinations (an earlier review process superseded by IPRs) eliminated many patents that should not have seen the light of day, they also strengthened some, making them easier to license. To date, IPRs effectively have been a one-way street, eliminating many patents that should not have been issued but ineffective at identifying good ones. 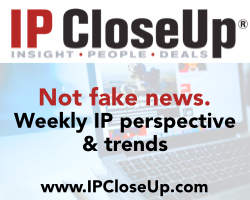 An article that appeared last week, “How IPR Gang Tackling Distorts PTAB Statistics,” takes the recently reported data to task for misleading about the ultimate effect of multiple IPR filings on a single patent. An article that appeared recently in Law 360, “Inter Partes Reviews Becoming Friendlier to Patent Owners,” argues that holders whose patents are subjected to IPRs today have a better chance of survival than in the past. The decline in the institution rate may be statistically valid, but some patent holders argue that it does not tell the whole story. The statistics do not explain that some of the worst, most easily invalidated patents came before the PTAB in the first year of its existence, so the institution rate was destined to go down as it became clearer the weakest patents had been terminated. 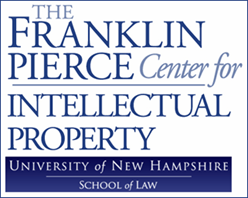 Results from a November-December 2016 Bloomberg Law and AIPLA research study asserts that “progress has been made in patent owner attitudes towards IPRs.” However, it really depends on which patent owners you ask: those that have large portfolios that they rarely enforce or those with a small number of quality patents that they wish to license. 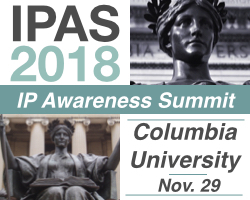 Brad D. Pendersen, former chair of AIPLA’s IPR Committee and co-author Bloomberg Law-AIPLA’s Patents After the AIA: Evolving Law and Practice (2016) believes that there is an opportunity for patent holders subject to IPRs to strengthen their patents, despite evidence to the contrary. It is not clear that most patent owners who license would agree with the “gold-plated” reasoning. If it were true, there would be even fewer patent suits and more owners seeking IPRs of good patents. 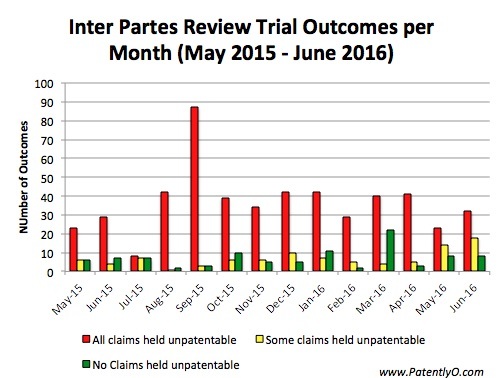 In fact, it is a bit of a mystery what happens to patents that pass PTAB muster. A significant number appears to move on to district court litigation, and there is little data analyzing if they have greater value or fare any better licensing than patents that are less successful running the IPR gauntlet. Finjan is an example of an IP holder that engages in licensing whose patents are frequently subject to IPRs. The company has fared surprising well in defending itself at the PTAB, but that success does not seem to have translated into significant shareholder success for the cybersecurity company which also frequently out-licenses its patents. On March 15, 16 and 17, as reported in The Patent Investor, Finjan won three more IPR rulings, involving Palo Alto Networks. Shares of Finjan (FNJN) currently sell at just $1.54. The company has a micro market capitalization of $35M, $18M on 2016 revenues. Its shares are up significantly over 12 months vs. for the S&P 500 Index, but the company, which lost $12.6M in 2015, showed its first profit in 2016, $350K or .02 per share. Finjan has executed a difficult IP strategy. If successful IPRs have gold-plated its patents, the value has yet to shine through. Finjan was the fourth most IPR’d patent holder in 2016 and the third most in 2015. It is the most successful company in successfully defending against IPR petitions. Of 47 total IPRs against Finjan patents to date, 32 have been denied institution. With that track record at the PTAB, one would think Finjan would have a field day licensing its patents, but the IPRs continue to come, and it still must win hard-fought victories in district court litigation. In September, a California jury found that cybersecurity firm Sophos infringed all eight patents asserted in a lawsuit brought by Finjan over software that identifies new computer viruses, awarding the company $15 million in damages. Editor and patent attorney Gene Quinn of IP Watchdog believes that Finjan and other businesses that attempt to out-license their patents are frequently subject to repeated, coordinated attacks. “At least several patent owners, including Finjan, are routinely subject to serial, harassing IPR challenges,” writes Quinn. “The Patent Office doing something about harassing IPR challenges is long overdue. If the Director is not going to exercise the discretion vested in that Office by the America Invents Act (AIA) hopefully more panels of the Board will take it upon themselves to do just that. Zond makes plasma generators, the kind used in manufacturing semiconductors. Pulsed DC plasma generators for magnetron discharge were first introduced in the late 1990s to reduce arcing during for the purpose of improving the quality of thin-film materials. A big breakthrough came in September 2002, when Zond applied for what it describes as a “revolutionary” pulsed technology approach. Zond is a Massachusetts-based company that wholly owns Zpulser LLC, which commercializes its patent technology by making and selling high-power plasma generators. The patent at issue relates to methods for generating magnetically enhanced plasma. Over the last three years, Zond’s patents have challenged an average of 12.5 times in IPRs and as many as 23 times. The patent research firm, Patexia, writes that it is difficult for holders of good patents to survive multiple IPR challenges. In the case of Zond, it has made licensing pretty much impossible. A study last year, reported in Law 360, showed that Zond’s patents have been challenged in AIA reviews more than those of any other patent owner, including largest patent licensing company, Intellectual Ventures, which owns more than 70,000 patents and took second place on the list. Zond’s large number of infringement suits, reports Law 360, spurred many companies to band together to challenge the patents in AIA reviews. In addition to Fujitsu and Gillette, petitioners have included Toshiba Corp., Advanced Micro Devices Inc. and Taiwan Semiconductor Manufacturing Co. Ltd. Were potential licensees and defendants in patent suits lining up against Zond’s patents because they were bad and its case without merit, or did they want to destroy some potentially good patents that would have cost them to license? “Some have been suggesting that solely relying on the denial rates reported by the patent office is not enough to conclude that patents are surviving the IPR challenge,” writes Sameni. “Many have called PTAB, the patent death squad. Our study shows that in some cases, patents are challenged many times. If claims still exist, they could be threats. And potential licensees/defendants will go to lengths to “kill” a patent to avoid paying a license or being dragged into court, including teaming on multiple petitions. Repeat IPRs are an efficient way to make a potential infringement suit or royalty payment disappear for multiple parties. Once a patent is challenged multiple times with different prior arts, it is highly unlikely that any of its claims will survive – no matter how good it is. Another patent licensing business, one whose petitioned patents have survived multiple IPRs, still believes that the lack of uniformity among the many PTAB panels and administrative law judges is a major factor in the continued unfairness that has effectively destroyed patent licensing for many companies and independent inventors. Many law firms still seek to participate in the outcome of clients’ patent litigation, but few are willing to share the cost of obtaining and maintaining invention rights, which frequently turn out to be worthless. A new book by an innovative Colorado attorney and inventor suggests that patent lawyers need to have more skin in the prosecution game, and that filing patents just to have them is a waste of their client’s time and money. 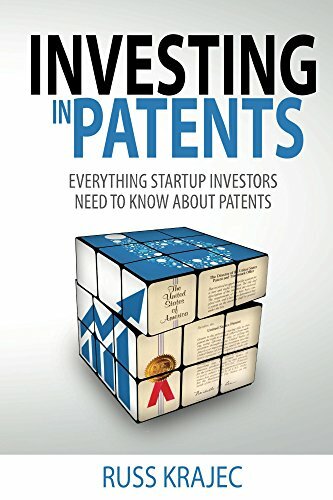 Russ Krajec, author of Investing in Patents: Everything Startup Investors Need to Know About Patents, says that the high cost of obtaining, maintaining and defending patents is prohibitive for most young companies. But without patents they can undermine their future, the value of their enterprise, and the fate of their investors. Recent studies indicate that 30 percent of U.S. “unicorns” (start-ups with greater than $1B in valuation) have no patents and 62 percent have fewer than 10 patents. In the January issue of IAM magazine, available this week, you will find my Intangible Investor review of Krajec’s deft book and industry-challenging strategy, “A strong case for a new approach to patent investing,” accessible to IAM subscribers, here. Patents are more expensive than ever, just over $56,000 for the average one over the course of its life. Defending them has reached new highs of cost and risk. A case through IPR(s) to trial can cost several million dollars and require more than five years, with a reduced likelihood of success. 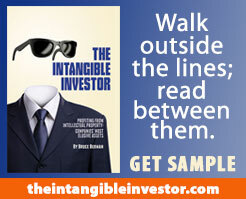 Investing in Patents is available at Krajec.com or on Amazon.com, here. In addition to being a patent attorney who has worked for H-P and other companies as a practicing engineer, Krajec has more than 40 patents to his name and, earlier in his career, was a USPTO patent examiner. He also runs BlueIron, LLC, an IP finance and management company. While the sugg estion of joint or fractional patent ownership is compelling, it is not entirely new or simple. As in most agreements, the devil is in the details. It is unclear how Krajec believes ownership of a patent should be divided and who has the right to license, enforce, sell or otherwise leverage it – and when. Perhaps, most importantly, who gets to define success? 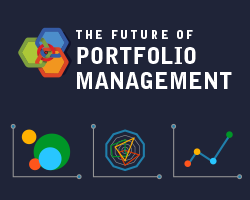 Given the current high-risk/low return scenario for obtaining and licensing patents most high-tech patents, this lawyer’s ownership alternative may be just what is needed to realign interests and enhance performance. Public IP licensing companies (PIPCOs) are very much alive and some company shares are doing surprisingly well, despite increased obstacles to patent licensing. PIPX reported a 20.4% gain for the 3Q vs. just 3.3% for the S&P 500. It was the PIPX’s best performance since the index began tracking IP licensing companies in 2011. The PIPX is a capitalization-weighted, price-return measure of the change in value of this segment of publicly traded companies. It is difficult to attribute any one specific factor to the record quarter. However, PIPX has been volatile, and somewhat counter-cyclical since its inception. The index could be seen as a hedge against S&P 500 performance. Additionally, patent licensing and sales have started to come back, and patent damages awards are being paid, although at reduced amounts. The Patent Trial and Appeal Board has been instituting fewer Inter Partes Reviews (down to about one-third of petitions filed), but is still seen by many as a somewhat arbitrary impediment to patent licensing and enforcement. The value of $1 invested in the S&P 500 in Q3 2011 would now be worth $1.62 while the value of the same $1 invested in the PIPX would be $0.68. Added to the index is FORM Holdings (NASADQ: FH), a diversified holding company that specializes in identifying, investing in and developing companies with superior growth potential. Removed were Vringo, which was absorbed by FORM Holdings, and Unwired Planet, which was delisted on June 18. For the full 3Q report, go here. Determining if the courts and lawmakers have facilitated improvements or simply over-corrected for weaknesses in the patent system largely depends on whom you ask, and when. While obvious to some, the fairness of the U.S. patent system is no longer apparent to all. In 1996, the days of the first tech bubble, there was some uncertainty regarding patent validity. Patent licensing was not easy back then, but it was viable and still could be conducted on a business basis. Out-licenses could be negotiated without first filing suit, and significant damages awards were occasionally paid, although not as frequently has some would have us believe. The threat of an injunction that would freeze product sales was still a very potent weapon for those considering enforcement. 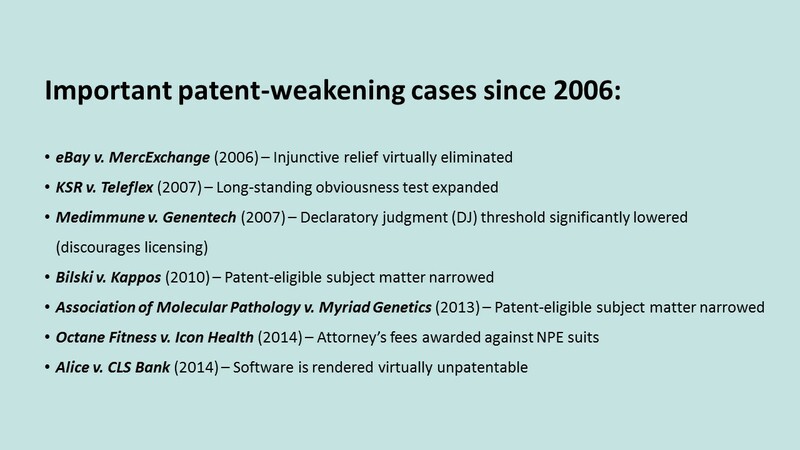 Things became very difficult in 2006 (high uncertainty), when injunctions became virtually impossible to obtain and NPEs, the businesses that tended to enforce the best patents most frequently, were characterized as a virulent strain of a disease that needed to be eradicated. Lost in defendants’ anger is that those who enforce valid patents may actually facilitate innovation and competition, and play a positive role in job creation. 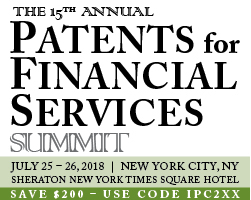 Weighing in on whether the over-corrected patent pendulum has finally started to swing back towards the middle are Brian Hinman, Chief IP Executive at Philips, and Ashley Keller, Managing Director at Gerchen Keller Capital. 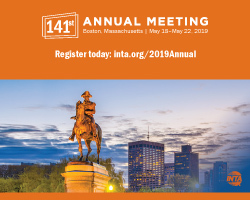 In “Balancing Act,“ in the May Intangible Investor in IAM, they speculate on what it will take to move the patent pendulum more toward the middle where it belongs. In 2016, with the emergence of an extreme degree of uncertainty, patent licensing became virtually impossible. (Degree of uncertainty licensing can be compared to “degree of difficulty” in a gymnastics competition, although their are no bonus points for successfully enforcing an infringed patent.) Of no help was the rise of preemptive, defensive litigation (declaratory judgments), forcing many patent holders to sue first and (maybe) talk later. Factors responsible for patents’ loss of reliability include the American Invents Act (AIA) which permitted Inter Partes Reviews (IPRs), litigation-like, post-issuance examinations of patents that invalidated many invention rights filed under previous guidelines and slow enforcement. 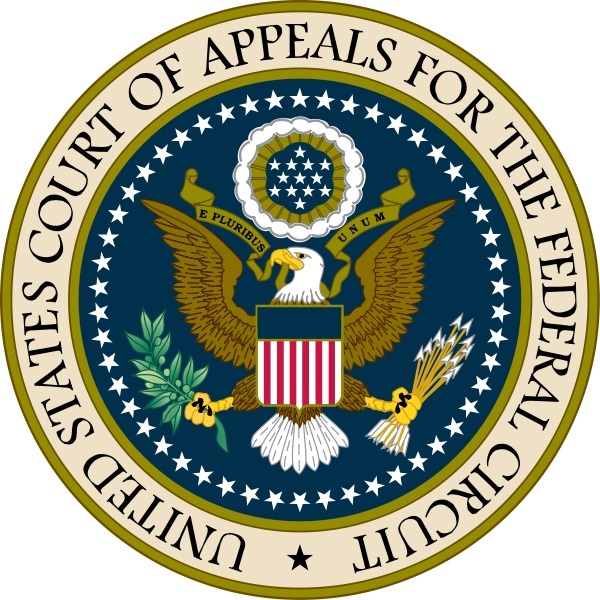 A number of district court, Court of Appeals for the Federal Circuit (CAFC) and United States Supreme Court cases have gone against patent holders wishing to license for revenue, including the Alice decision, which rendered many software patents and business methods invalid. Another major set-back is Non-Practicing Entities or NPEs, also known as patent “trolls” or owners who do not commercialize or sell products but hope to generate ROI through royalty payments. All NPEs have been lumped together and have been universally demonized as “black hats” who are the primary source of all that ails the U.S. patent system and that wish to enforce questionable rights and shake down otherwise innocent companies wishing to avoid costly disputes. However, many of the largest corporations engage similar practices themselves (aka privateers), while decrying other NPE’s. As a result of the actions of anti-patent proponents — many large patent holders themselves — patents have become even more uncertain, and litigation longer and more costly. NPEs continue to be held responsible for the need for more anti-patent legislation, and have become a sort of obsession for some businesses and lawmakers wishing to re-frame the discussion and absolve many tech companies of serial theft. According to Patent Progress, “a project of the Computer & Communications Industry Association (CCIA)” that endeavors to limit patents reach, there are six bills currently before Congress that still endeavor to reel-in or otherwise weaken patents and deter enforcement. 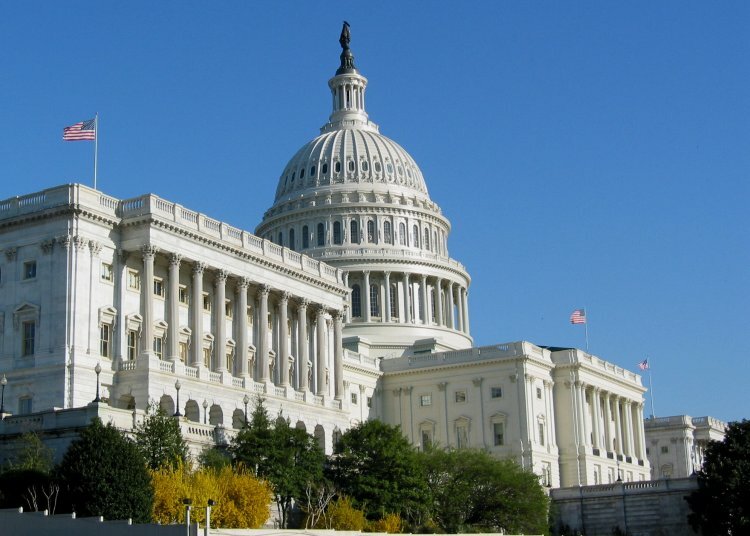 Only one piece of patent legislation, the STRONG Act, which is before the Senate, attempts to roll back some of so-called improvements introduced over the past several years, much of which in retrospect looks like an overreaction to a much smaller problem. Fourteen bills were introduced in the 113th Congress (2013–14) alone to deal with one or more aspects of the patent troll issue. For a list of these and other bills, go here. Computer and Communications Industry Association members include Amazon, Facebook, Google, Microsoft, Red Hat and Samsung. The diagram below, “Patent Licensing: Higher Hurdles for Protecting New Ideas,” is a graphic reminder of the progressive number and nature of impediments added since 1996 that discourage the licensing of U.S. patents. 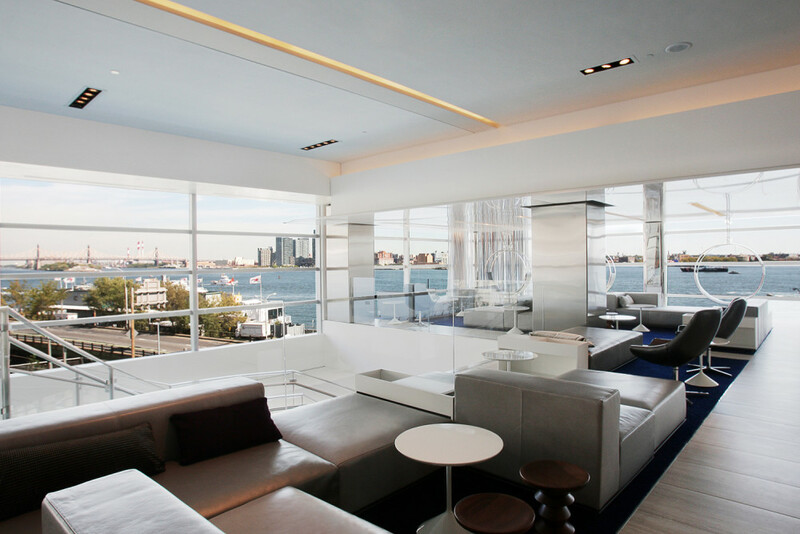 It was prepared by Brody Berman Associates for a client who has given permission for it to be shared. 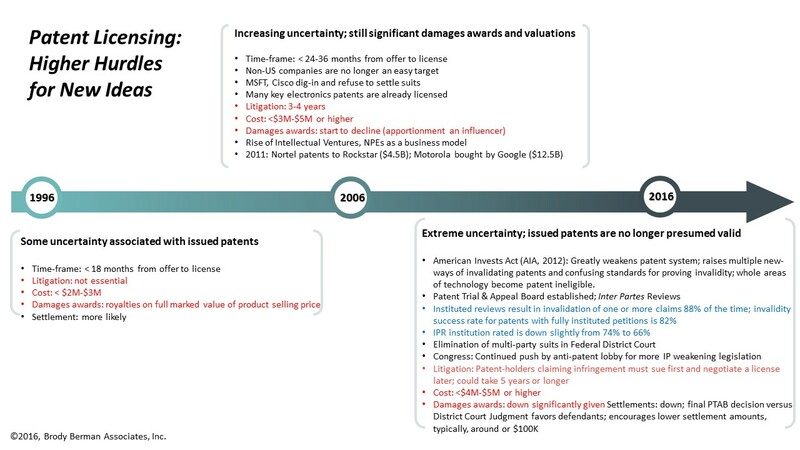 Key court decisions diminishing patent value and creating more uncertainty can be seen in a second slide below. For technology companies the era of the licensing discussion is all but over. Uncertainty has never been greater, nor has hostility to owners offering an invention for license, no matter how good the patents or fair the terms. This leaves no alternative but to litigate. “Efficient” infringement, a term we are hearing more of lately, is really a kind of risk-adjusted theft. Simply put, the deck is all but stacked against patent licensors (who are now forced to sue) because it is more economically viable today for most businesses to steal what they use than pay for it. The courts, lawmakers and media will need to start soon if the damage that has been done to patent licensing is to be reversed. The Supreme Court decisions below speak volumes for the imbalance and how far patents have to go to bet back to the middle. It is not so much that Alice made software unpatentable as it rendered most existing business methods and many software patents invalid under the narrower guidelines that the Court established. If proponents of fewer and lower hurdles feel the system has over-corrected and is doing damage, they had better turn up the volume. The courts, legislators and even most patent holders do not appear to be listening. *My gratitude to Irv Rappaport who assisted in writing this article. Irv has served as the head of IP departments at Apple, National Semiconductor and Medtronic, and was a consultant to Intel responsible for suggesting the Intel Inside® campaign. He has served as an expert witness more than 70 cases and is named more than 20 U.S. patents. He also served as a USPTO patent examiner and a U.S. Army officer. A California jury has awarded pharmaceutical drug company Merck $200 million, a fraction of what it had sought, for infringement of two of its patents by Gilead Sciences, which based in the San Francisco area. The jury based the $200 million award on a royalty rate of 4 percent on $5 billion in sales, compared with the 10 percent royalty on Gilead’s past sales of more than $20 billion sought by Merck. This is as reported in Law 360. In calculating damages, jurors said they sought a middle ground. “We worked to get to something we could all agree so we weren’t hurting one side or the other,” juror Cody Shump, a 20-year-old San Jose resident, told Reuters. The judge has yet to rule on future royalties. Not all patent licensing businesses are alike. 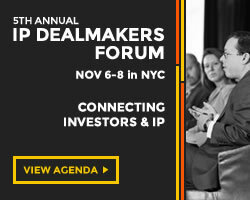 “NPE 2016: The Business of Responsible Licensing,” scheduled for March 22 at the Convene conference in New York, will differentiate patent monetization companies by examining their business models, strategies and the managers who run them. The conference will focus on the non-practicing entity (NPE) industry, including both public and private companies. 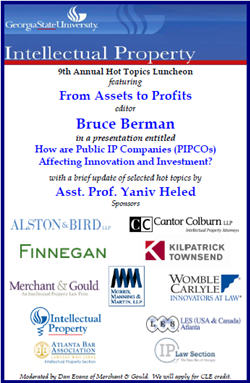 In 2015, the NPE 2016 brought together leaders from the licensing company sector and the wider corporate IP and investment communities to discuss the challenges and opportunities of running a patent licensing business, especially in today’s challenging climate. NPE 2016 is the only gathering that examines how NPEs operate and contribute to the innovation and the economy. Moderator-led panel discussions with audience Q&A at the end of each will be featured. Sessions are designed to focus on the specifics of building and running successful NPE, as well as on the opportunities available to investors. 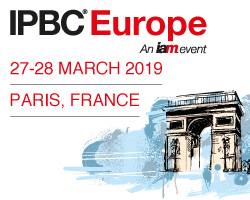 This year’s sessions will consider licensing best practices, building and managing a patent portfolio, licensing dos and don’ts, litigating in Europe once the Unified Patent Court has been launched, licensing opportunities in new sectors and moving IP commercialization beyond monetization. IP CloseUp readers who use the promo code IPCLOSEUP before February 19 are eligible for a $150 discount off of the full $895 registration. For more information about NPE 2016 or to register, go here. For he full program, go here.